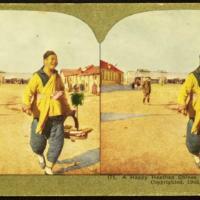 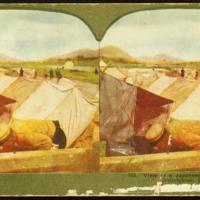 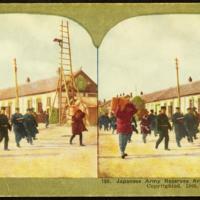 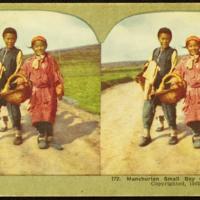 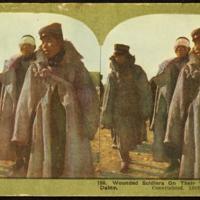 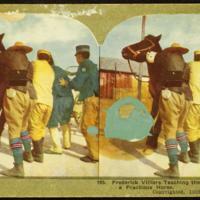 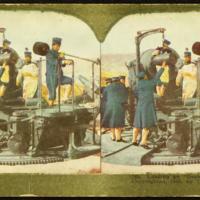 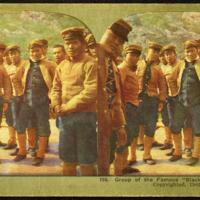 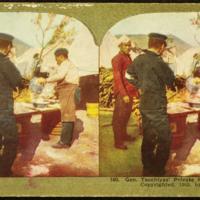 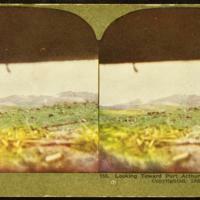 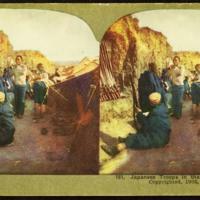 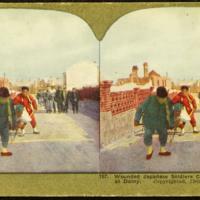 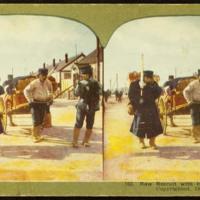 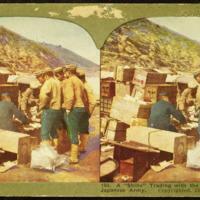 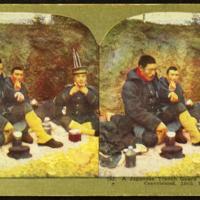 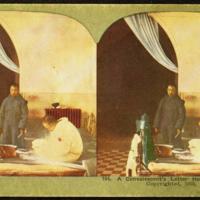 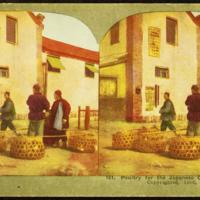 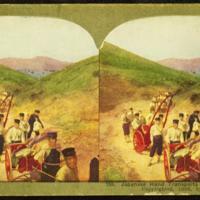 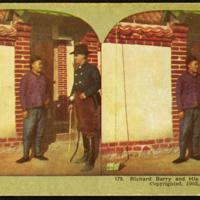 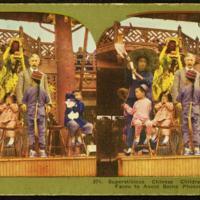 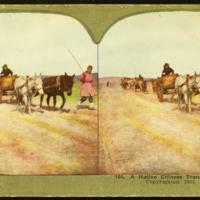 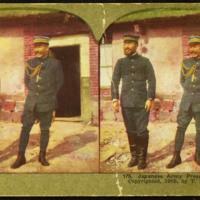 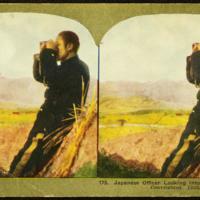 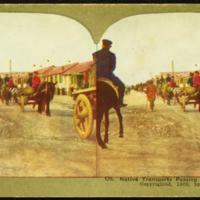 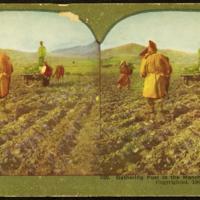 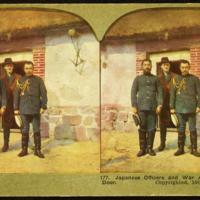 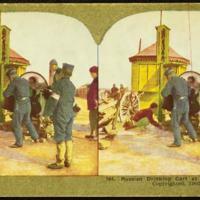 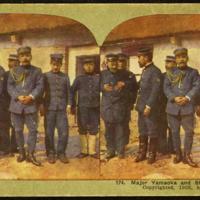 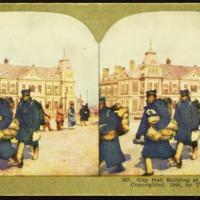 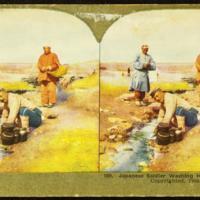 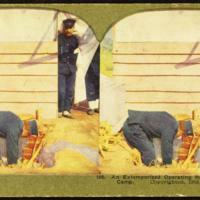 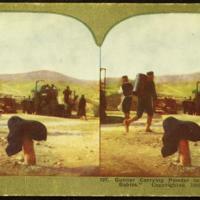 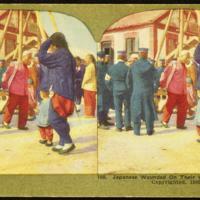 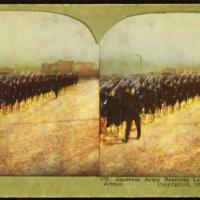 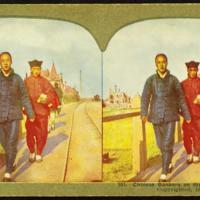 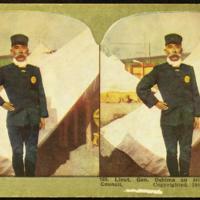 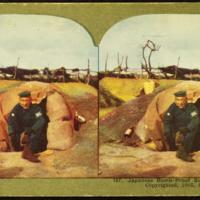 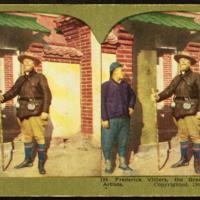 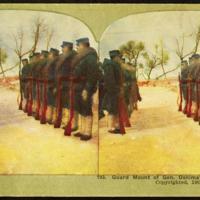 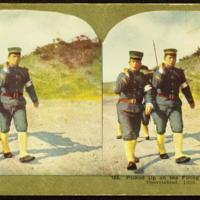 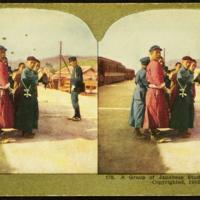 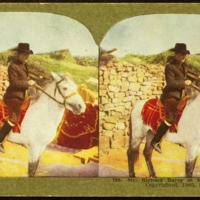 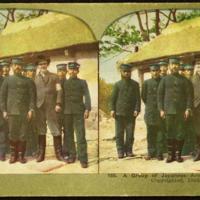 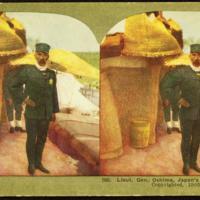 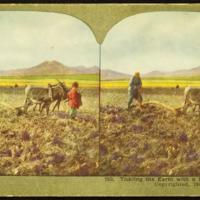 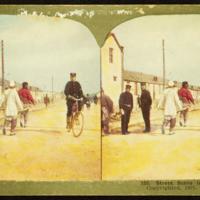 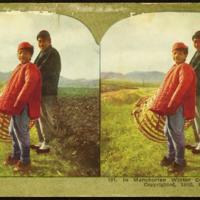 This collection comprises a selection of stereoscopic images of the Russo-Japanese War produced by the Ingersoll View Company, held in the Monash University Library Rare Books Collection. 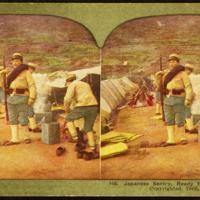 With original photographs by Richard Barry, the set shows the Japanese army in the Port Arthur (now Lüshun) area, a port occupied by the Russians and beseiged by the Japanese during the war. 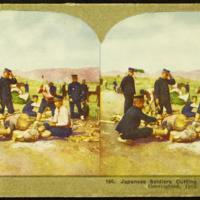 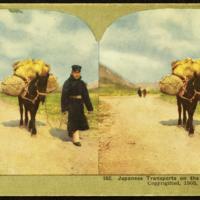 Views include soldiers transporting a mortar shell; “Osaka Babies” (Japanese guns); a solider getting a haircut; soldiers in their camp; a boiled water cart, which transported sterile drinking water for soldiers; Japanese officers, including General Oshima, Major Yamaguchi, and Major Oda; also, photographer, Richard Barry and war artist Frederic Villiers.